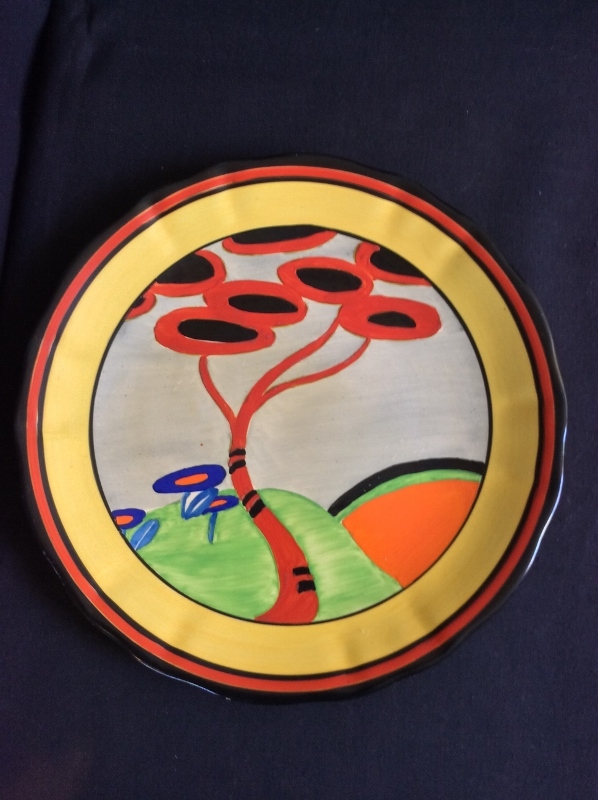 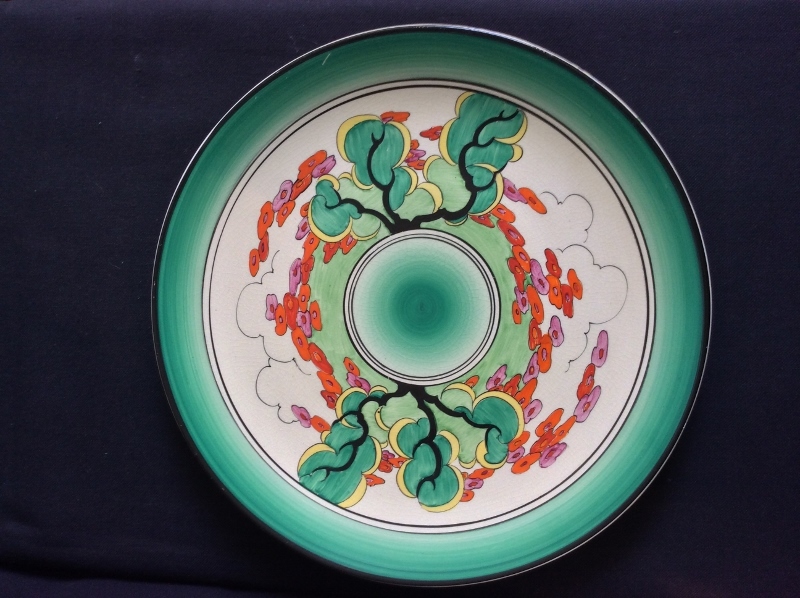 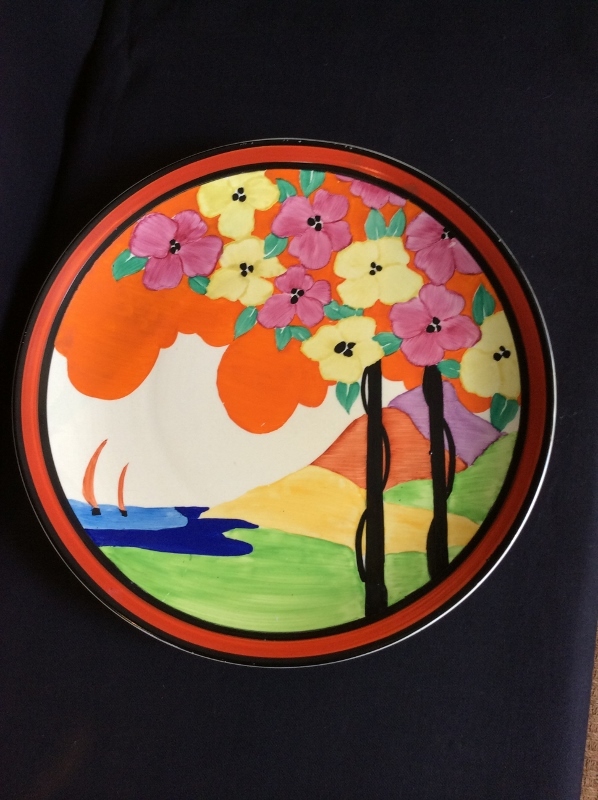 CLARICE CLIFF 'APPLIQUÉ' RED TREE, A RARE, DESIRABLE AND PERFECT LARGE WALL PLATE...FRESH TO THE MARKET!! 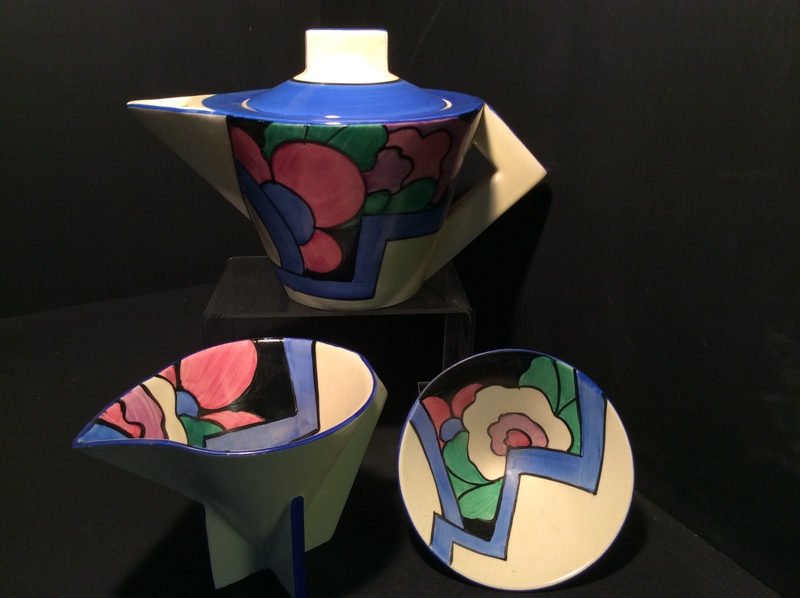 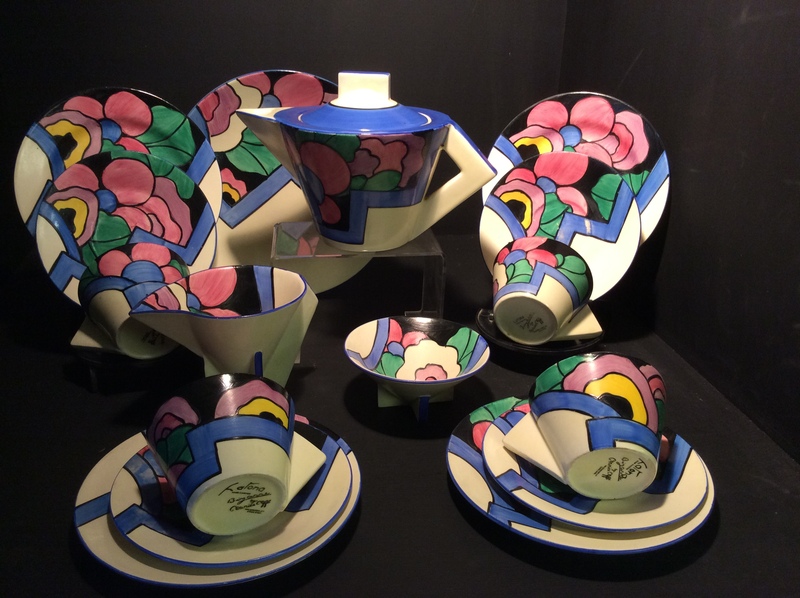 CLARICE CLIFF, A RARE LATONA DAHLIA PATTERN EXTRA LARGE CONICAL SHAPE TEAPOT, MILK JUG AND SUGAR BASIN!!!!! 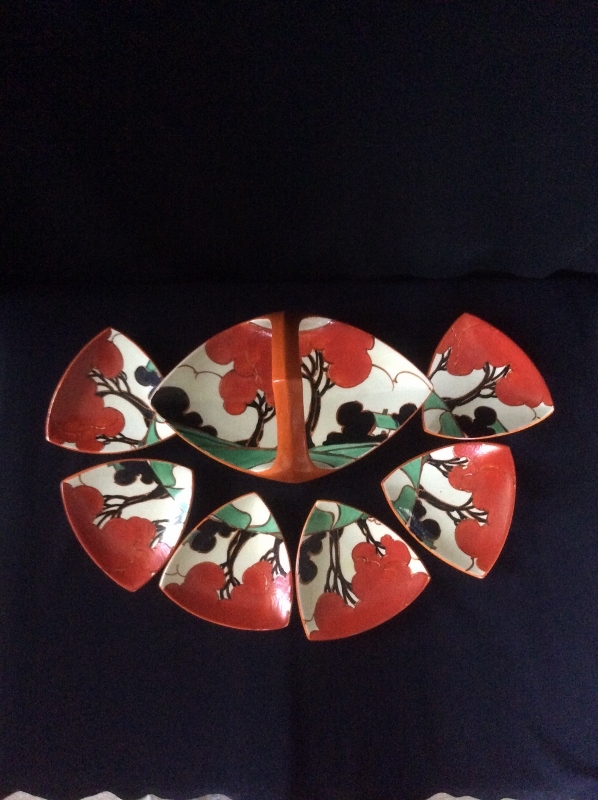 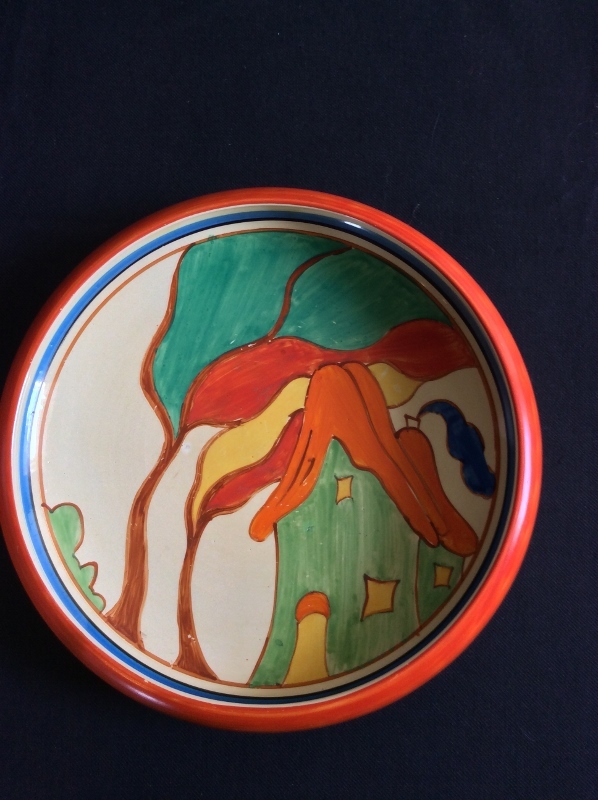 CLARICE CLIFF, A RARE AND COMPLETE 'RED AUTUMN' 7 PIECE NUT SET AND BASKET !!! 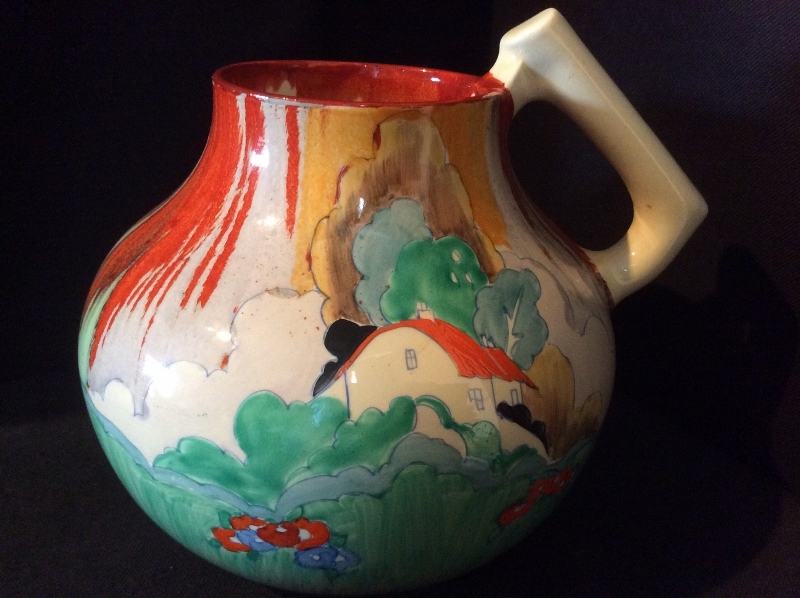 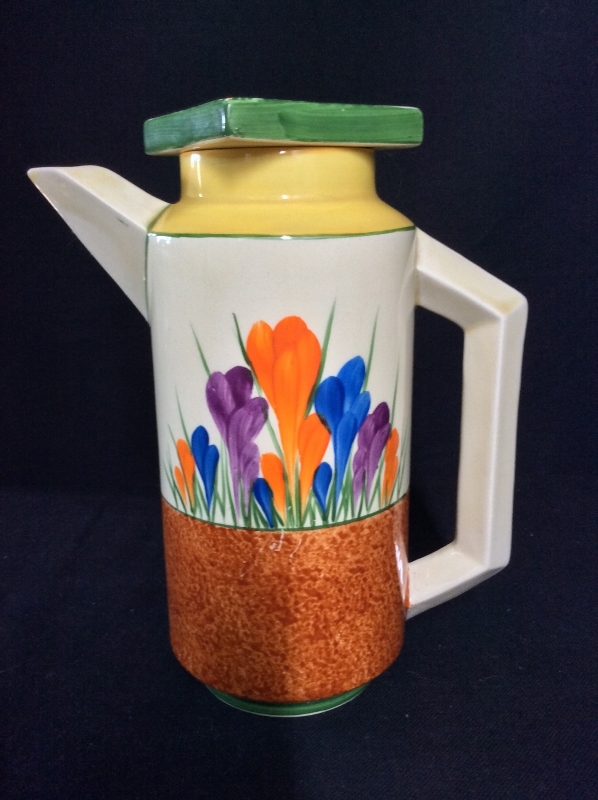 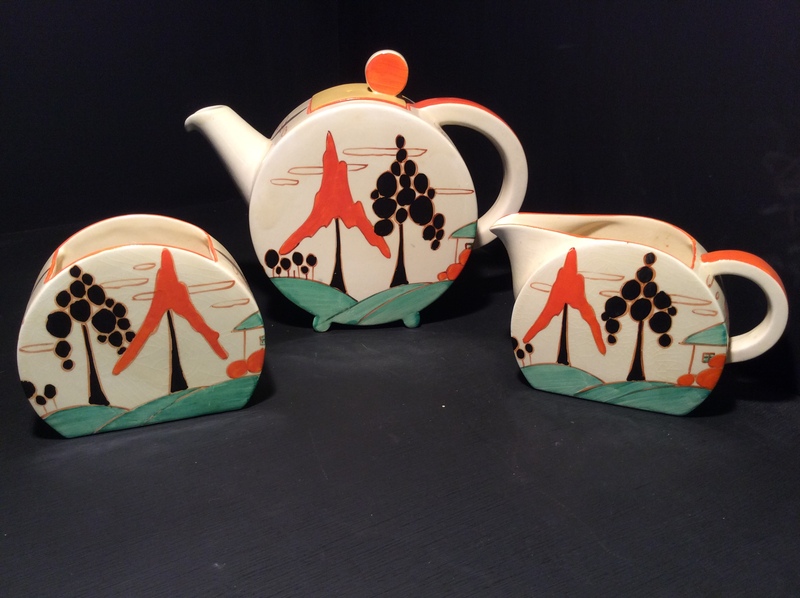 CLARICE CLIFF, A SUPERB 'FOREST GLEN' PATTERN 634 SHAPE PITCHER. 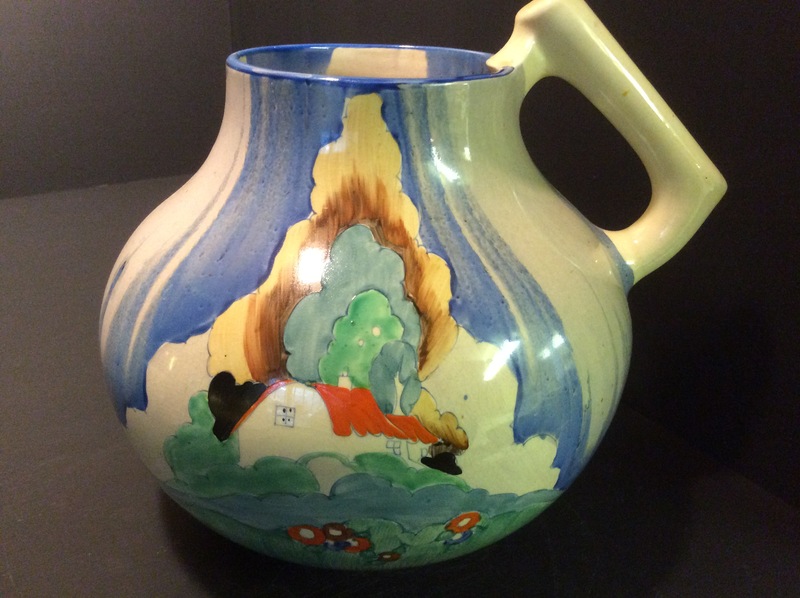 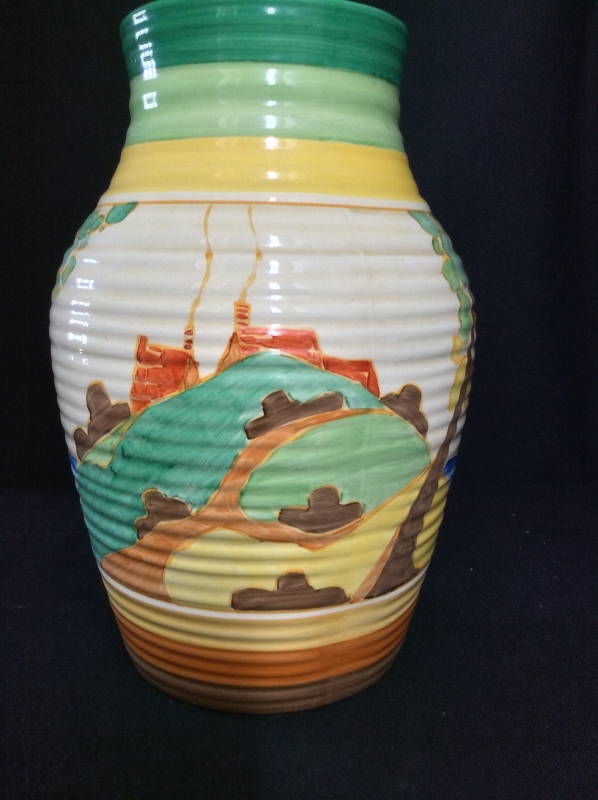 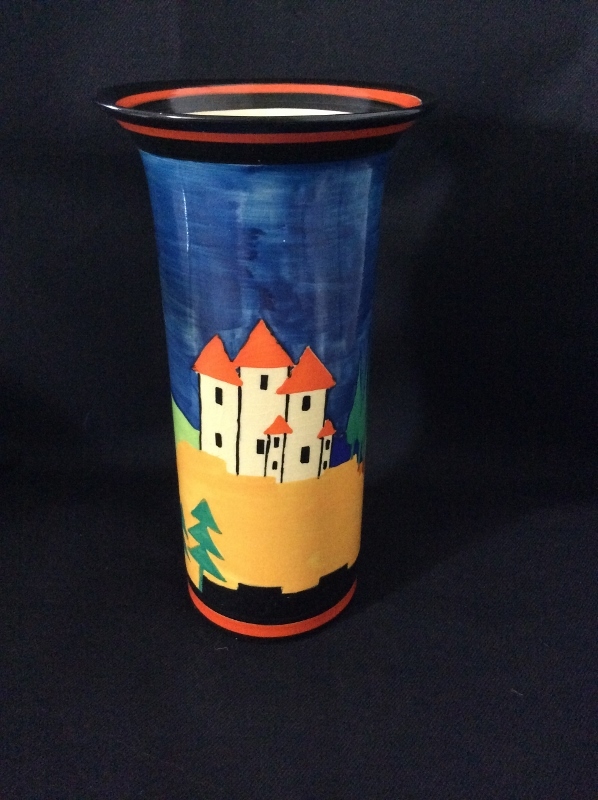 CLARICE CLIFF NEWLYN PATTERN RARE SHAPE JUG...ALMOST A 'CURLING' JUG !